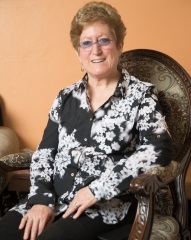 Bhakti Cohen is co-founder of Family Mediation Solutions and a private practitioner in Marriage and Family Therapy, Collaborative Divorce Law, and is a Florida Supreme Court Certified Family Mediator. She is a member of the Academy of Professional Family Mediators, the Florida Academy of Professional Family Mediators, the American Association for Marriage and Family Therapy, the International Academy of Collaborative Professionals, the Collaborative Divorce Professionals of Gainesville, as well as the Florida Association of Family and Conciliation Courts. Bhakti is highly trained in interpersonal communications. She is also a Child Specialist, a Parenting Plan expert and Co-Parenting Educator. Bhakti also works in partnership with a fully trained and certified Labrador Retriever therapy dog. Pamela Schneider is a co-founder of Family Mediation Solutions and a partner in the law firm of Wershow & Schneider PA. She is a resident mediator at the Resolution Center in Gainesville, FL, as well as a Diplomat of the Florida Academy of Professional Mediators, an Advanced Mediator Member of the Academy of Professional Family Mediators and is certified by the Florida Supreme Court as a Family Law Mediator. Pamela has also been very active in the collaborative divorce movement in Florida, having taught Collaborative Law at the University of Florida Levin College of Law for several years and served as a member of the Board of Directors of the Florida Academy of Collaborative Professionals. She is a member of the International Academy of Collaborative Professionals and the Collaborative Divorce Professionals of Gainesville as well as being a board member of the Florida Association of Family and Conciliation Courts. 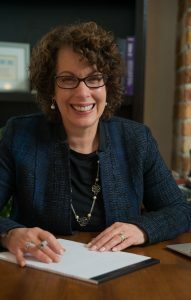 She has an AV (pre-eminent) rating from Martindale-Hubbell, and her law practice focuses on Collaborative Family Law.